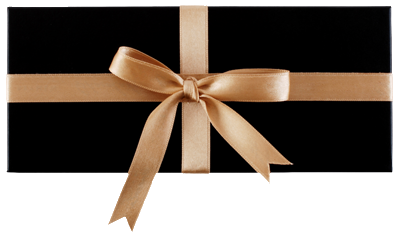 Hintlesham Hall Hotel exclusive Gifts now available to purchase securely online. Gifts can be personalised with a message and send it instantly by eMail, SMS Text or 1st Class Post. Our traditional Sunday lunch is highly popular, enjoy our three course lunch with coffee and chocolate truffles. Remove those knots and built up tension. This back massage will loosen those tight knots relieving tension and reduce stress and will induce a feeling of euphoria. A great taster of the Elemis experience, leaving the skin smooth, radiant and hydrated. Includes cleanse, face massage, exfoliation, mask and moisturiser. Feel your senses lifted by the sublime Exotic Lime and Ginger Salt Glow infused with skin enriching Japanese Camelia Oil Blend. Skin is deeply cleansed, leaving it silky-smooth and glowing. Cut, file nails and paint with your choice of nail varnish colour. Add a French polish finish for an extra £8 – 15 minutes added to the treatment time. Enjoy our wonderful table d’hôte three course dinner menu. Using the best of ingredients and where possible locally grown. In addition to the full afternoon tea we offer a specially selected Laurent Perrier Champagne flight, of 3 x 50ml glasses together with a selection of leaf teas, tisanes, grand cru coffees and hot chocolates, selection of sandwiches, home-made scones and cakes. Ease aching muscles and revive the sense with this powerful deep tissue massage. Dynamic blends of essential oils and level of pressure are customised to target individual needs. Pure relaxation removing tension & stress. A head to toe soothing full body experience. Releasing tension and draining away toxins to balance your body’s energy and well-being. WE ARE OFFERING OUR GUESTS THE OPPORTUNITY TO ORDER ONE OF OUR WONDERFUL PICNIC HAMPERS - PERFECT FOR SPECIAL DAYS OUT! Fresh Crusty Bread and Butter • A choice of 2 Cold Meats, Fish and/or Vegetarian Mains A choice of 2 Salads • A homemade Scotch Egg or homemade Sausage Roll A choice of 2 desserts • Cheese Board with Crackers and Chutney Fresh Fruit or Fruit Salad • Single portion sized bags of Crisps or Vegetable Crisps 2 x 330ml Bottles of Belu Still or Sparkling Mineral Water Fruit presses, wine and/or champagne are supplied an additional charge. Includes either an elemis mini facial or back massage and either an OPI mini manicure or mini pedicure. All treatments are half an hour. Also includes a two course Lunch served in the main hotel either from the Restaurant menu or Lounge menu. Stay in one of our superior double rooms, with a traditional afternoon tea for two, followed by Full English breakfast the next day. Available Sunday - Thursday only.